You’ve studied market needs, designed a great product or service offering, and honed your differentiation message. Great. Now how do you convince prospective buyers about the value of your offering? Yet many of those marketers lack understanding of how to influencer marketing well. They may use old-school PR tactics to approach influencers as journalists (doesn’t work; different role). Or they fail to do their research properly and reach out to irrelevant influencers. Or they fail to differentiate their pitches across different types of influencers. If influencer marketing is part of your plans for 2018, here are five critical elements to get right in order to achieve success. Generating the level of exposure and impact you’re aiming for starts with building a wisely curated list of influencers. How do you identify and evaluate those individuals? Using influencer marketing tools (see below). Build a big list to start. Sort it by level of influence and categorize by sub-specialties or other pertinent factors. Finally, delete any names that are a marginal fit or no longer appear to be active on social media. What would you like the influencer to do on your behalf? 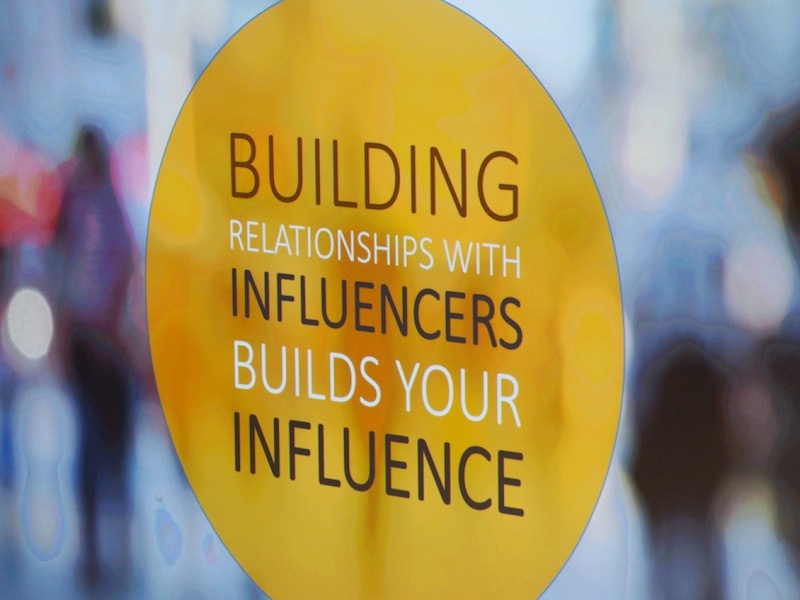 The right kind of “ask” to use in your outreach depends upon your goals, your relationship with the influencer, and their level of influence: is the influencer an “A-lister” with a large following who frequently speaks at industry events? Or is he/she more of a B or C list influencer? A-list influencers are the most open to receiving original research reports (thought they may or may write about them for free). They prefer to generate their own content rather than republishing brand-produced content, though they will generally charge a fee to do this. Some are open to publishing guest posts, but usually have very specific rules for submissions. B- and C-list influencers are generally more flexible. They are more likely, for example, to participate in expert roundup posts (A list influencers will sometimes contribute, provided the number of experts is kept small). These influencers are typically more open to publishing or contributing guest blog posts as well. Few influencers worthy of that label will write product reviews without some type of compensation. A-list and some B-list influencers may also offer “extras” such as inclusion in their newsletters or webinar content, as part of a paid package. Developing lists of relevant influencers, creating outreach emails, and tracking the results of your influencer marketing activities can involve significant time and effort. Fortunately, there are influencer marketing tools such as Buzzstream, Klear, and Onalytica that help simplify and accelerate research, outreach, and monitoring. Pricing varies widely based on specific features, the number of users and contacts, and support levels. It’s vital to research and evaluate different options to find the best fit for your specific business needs. Most plans make it easy to move to a higher level as your use of the tool expands. The most common end product of an influencer outreach campaign is a blog post. Whether it’s a guest post, an influencer interview, an expert roundup, or one of those “who to follow” compilations, it’s presented as text on a blog. But there’s no fundamental reason to limit the end result of your outreach to that format. Be creative! An expert roundup can be published on SlideShare (like this one on marketing trends), as an infographic (like this one showcasing tips for content marketing success), or even as an animated video. As expert roundup blog posts have become more common, presenting expert opinions in an alternative format gives you an opportunity to stand out. Your influencer outreach campaign isn’t finished once the post (or infographic, or other format) gets published. There are three crucial steps remaining for influencer marketing success. Thank each influencer for their input. Whether it was a few sentences for use in expert roundup or a longer contribution, every expert provided something of value. Notify each influencer individually (by email if possible) them when the content is published and thank them for their input. Promote the content across your social media channels. If you have the data to do so, call out influencers on their primary social channel of choice (that is, some are most active on Twitter, others on LinkedIn, Facebook, or elsewhere). Maintain the relationship. “Hit and run” outreach can burn bridges. Continue following the influencers, sharing their content, engaging them on social networks, etc.. This is not only good manners, but builds connections that make those influencers more likely to respond to future outreach from you—even if you are asking for something that takes more effort than your initial pitch. Given that millennials largely distrust and ignore advertising, influencer marketing is likely to remain a key part of the mix. But as the practice has become more common, it’s gotten more difficult to stand out. Keep these five elements in mind to help make your influencer marketing efforts rise above the noise.